Finding a fitness routine that you can stick to is likely easier said than done. Adding variety to your workout can benefit your mind and body. Check out these fun adult fitness ideas! Adult dance is offered in many forms, from Zumba to tap class. Dance is a great way to burn calories, build endurance, and improve your mental health. Most classes are around one hour in length. You can find classes in a variety of locations including heatlh clubs, dance studios, and community centeres. Tumbling works muscles you didn't know you had! Whether you are a beginner or looking to revisit old skills, finding an adult tumbling class is the perfect way to jumpstart your fitness routine. Tumbling is most commonly offered at gymnastics and cheerleading studios. There is still time to catch the fever... American Ninja Warrior style! 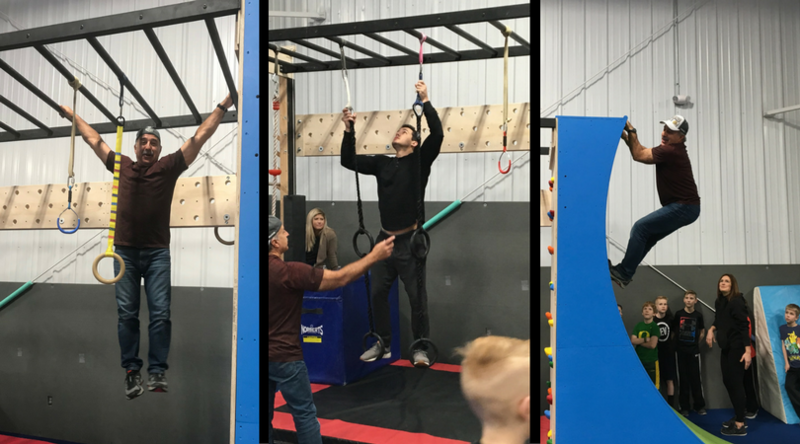 Ninja training facilities are popping up all over and offer the perfect combination of upper body strength and agility challenges. Many places offer a drop in class and some offer scheduled classes. There is no better time to introduce fitness into your weekly routine. Don't let yourself get in a rut! Check out a new fitness class today! Many workouts are fast-paced, but just because yoga is different than running on a treadmill doesn't mean it isn't worth your time. Yoga benefits include mental health benefits that allow your body and mind to work in sync with one another. Slow down once a week with a yoga class!